Twelve Little Girls, In Two Straight Lines! 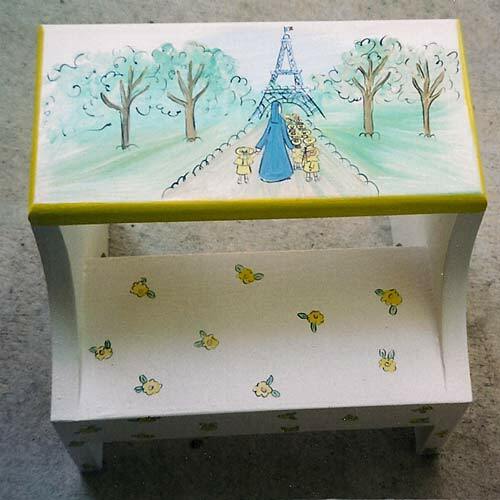 Our Madeline Step Stool, featuring a hand-painting of Madeline and her friends adds the extra inches your little one needs for reaching those hard to get to places. Whether brushing teeth, washing up, or just getting that out-of-reach book, our step stool is the perfect solution! Sturdy construction and cheerful design make this a stool for every little girl to cherish.